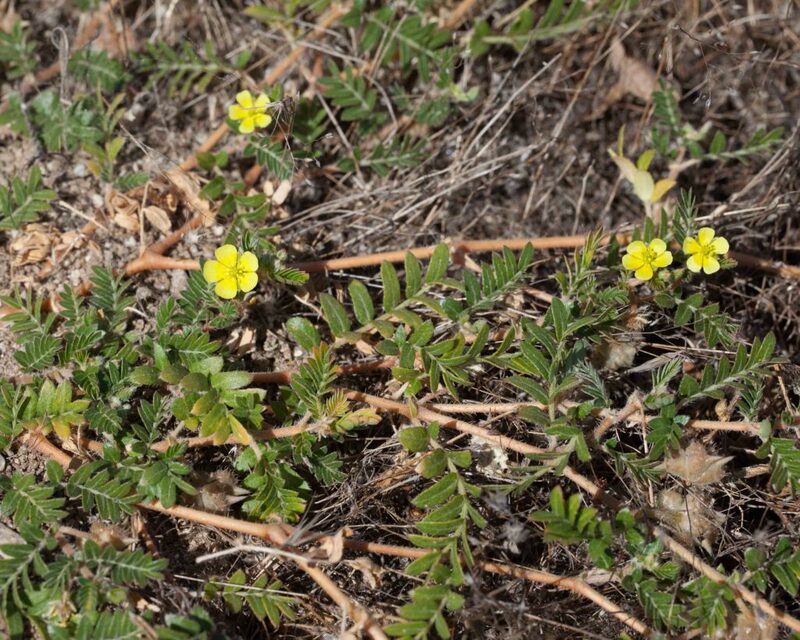 Fortunately fairly uncommon in Monterey, this plant has pinnate leaves with 6–12 bright green leaflets and small, bright yellow 5-petaled flowers borne in the leaf axils. 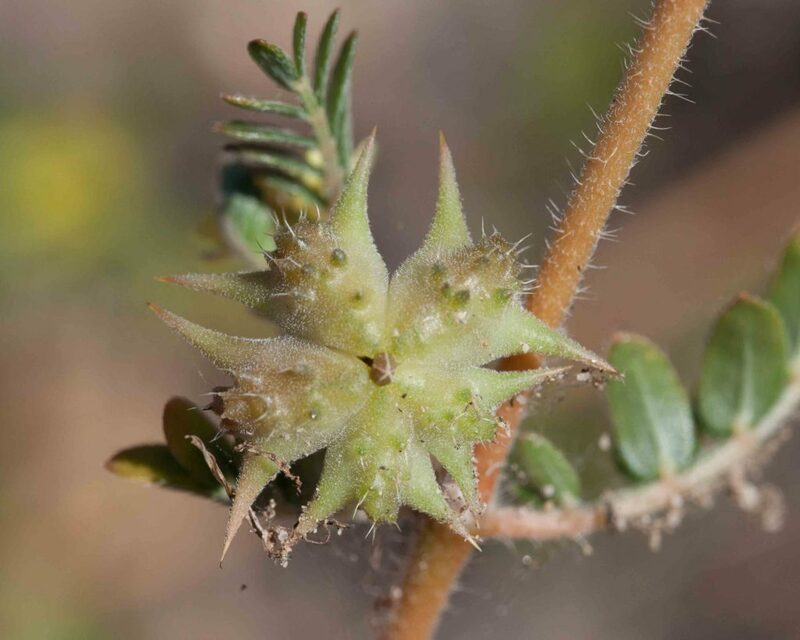 The fruits are vicious, comprising 4–5 extremely tough and spiny burs capable of puncturing tires and doing real damage to animals. 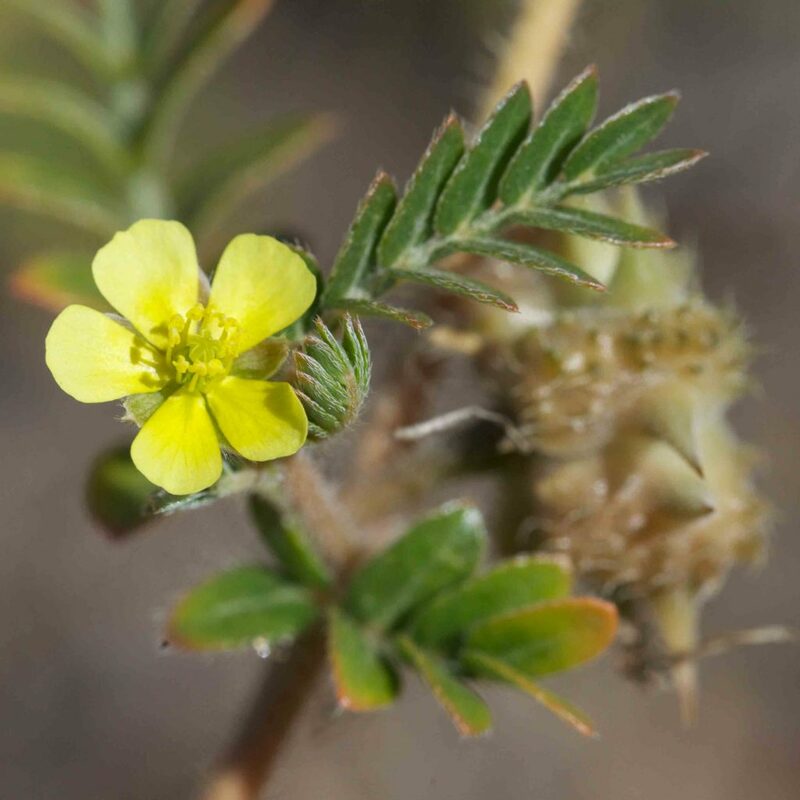 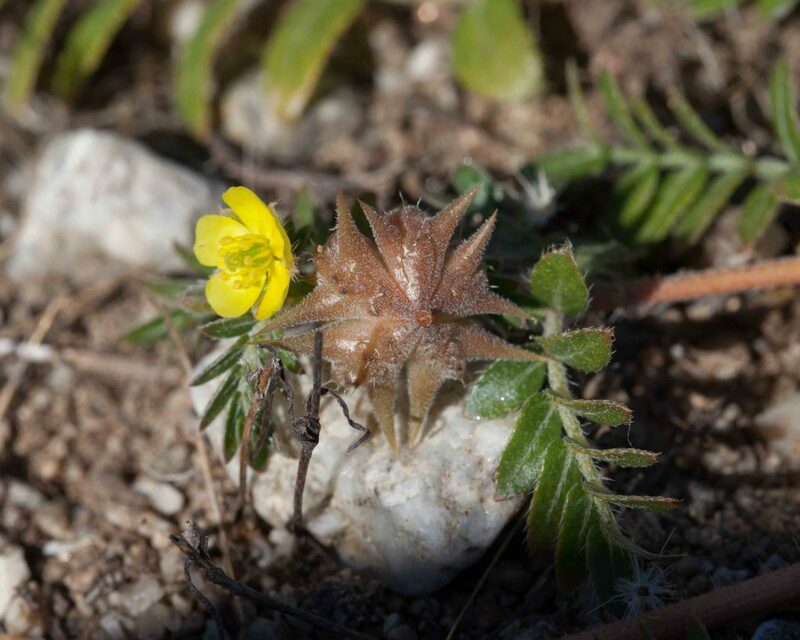 Tribulus is the latin word for the 3-pointed caltrop, an ancient weapon still in use today.